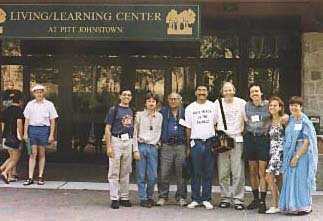 The congress was originally planned for Sydney, Australia, but due to administrative problems was moved to Johnstown, near Pittsburgh USA, where it joined the annual Summerfest, organised by the North American Vegetarian Society (NAVS). Some things seen through "European Vegetarian Glasses"
Fruits and Vegetables, who needs them? The Way of Jesus the Nazirene or "The Way vs. The Church"